1. Michael J. Gorman. Inhabiting the Cruciform God. This is among the best things I’ve read in a long, long time, perhaps ever. 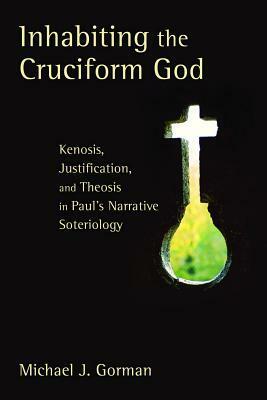 It is mind-blowing, and should be a standard on soteriology and Pauline studies. 3. Phil C. Zylla. The Roots of Sorrow: A Pastoral Theology of Suffering. I haven’t reviewed this one, yet. I may or may not get around to it. I hope I can. Zylla was one of my professors at McMaster Divinity College, and he and his wife are folks I consider friends. I was thrilled to see this book released, as it is the culmination of years and years of study and practice of pastoral care and teaching on the subject. It is beautifully crafted, and stands as an incredibly important resource for pastoral caregivers who are attempting to be bringers of a words and deeds of compassion, hope, and comfort. 4. N.T. Wright. The New Testament and the People of God. Yes, I only just finished this one. I’ve been working on all four volumes in his Christian Origins and the Question of God series simultaneously, and the other 3 are at various stages of completion (Jesus and the Victory of God should be done some time in 2015, and The Resurrection of the Son of God either late in 2015 or early 2016, depending on circumstances, but on Paul and the Faithfulness of God I make no predictions). This first volume in the series sets the context for the emergence of Christianity in the first century, describing the varying understandings of the worldview of Judaism (or Judaisms) out of which Christianity was birthed. Wright’s scholarly works are becoming classics and standards in the field (even for those who disagree, it’s hard to work in academic theology without interacting with Wright’s work). 5. Michael J. Gorman. Reading Revelation Responsibly. This important work seeks to develop a responsible heremenutical approach to the book of Revelation, and, in my opinion, very successfully depicts a vision of Revelation as a apocalyptic, theopoetic, pastoral and liturgical text, calling all Christians to faithfully witness to the Lamb. 6. Preston M. Sprinkle. Paul and Judaism Revisited. I began this one in 2013, but just barely missed out on the year end. Last year I only did a top 5, but felt the need to get this one in here this year, even though I did most of the reading of it in 2013 (logged it as read on Goodreads Jan. 3). I also finished Sprinkle’s Fight this year, which was pretty good, and Charis is fairly high on my to read list (won a free copy from the publisher!). But Paul and Judaism Revisited is a more scholarly contribution from Sprinkle than his more well known books. Here, Sprinkle interacts with various perspectives on Paul, and compares Paul and his readers with Qumran texts, noting the shift in soteriological agency, from a synergistic (or “deuteronomic”) to monogerstic (“prophetic”) view according to Sprinkle. Notables from the “in progress” pile: Michael Knowles’ We Preach Not Ourselves: Paul on Proclamation, Edward William Fudge’s The Fire that Consumes, the aforementioned volumes by N.T. Wright, and Shaye J.D. Cohen’s From the Maccabees to the Mishnah. Topping the “to read” pile: Richard Hays’ The Moral Vision of the New Testament, Preston Sprinkle’s Charis, Simon Chan’s Spiritual Theology, and Joshua Ryan Butler’s Skeletons in God’s Closet (which the author is graciously sending me, for free). This entry was posted in books, Stuff I Like, theology. Bookmark the permalink. I’m always happy to come in second to Mike Gorman! Well, you simultaneous got beat by him, and beat him. So congrats!